Mount Chephren in the Mistaya River Valley is one of the most impressive mountains along the Icefields Parkway in Banff National Park Canada. 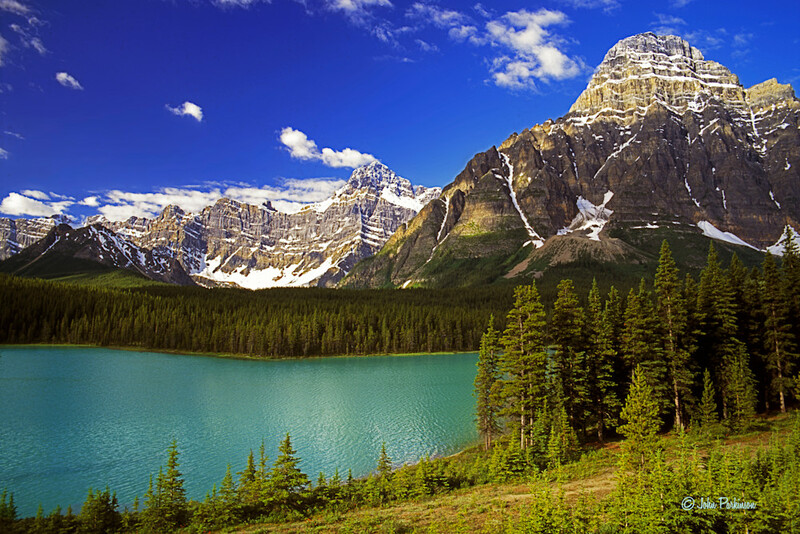 It rises to 10,850 feet and cradles Waterfowl Lake at the base of its southeastern face. It was named after Chephren, an Egyptian pharoh of the 4th Dynasty. It was originally named Pyramid Mountain because of its signature shape but that name conflicted with an identically named peak in Jasper National Park so it was renamed in 1924 to Mount Chephren.